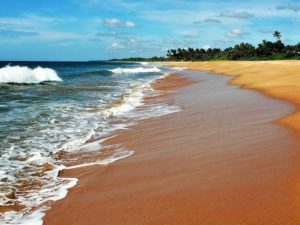 Sri Lanka’s west and south coast along with the island’s hill country are at there driest during February making it the ideal time to visit. A magical place with untouched paradise at every corner be it in the form of beaches, mountain ranges or ancient history spanning through out a country in which the locals create a lovely atmosphere with their welcoming attitude towards visitors. Climb the famous Sirigiya Rock and take in the incredible views and history about kings who once ruled these lands. Relax on the hundreds of beaches scattered along the beautiful coastal towns of Mirissa and Hikkaduwa. Or head north and swim with turtles and reef sharks on the mysterious Pigeon Island famous for its crystal clear waters. Spot elephants in their natural habitat on a safari in the Yala National Park. 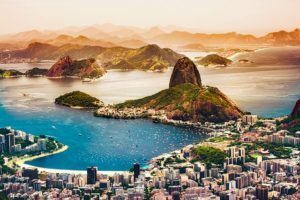 Brazil is a destination you can visit all year round and still enjoy tropical climates with warm sunny days. However February is the month in which you can be part of one of the biggest parties on the planet – Carnival. This 100 year old festival held in Rio de Janiero is known for it’s flamboyancy with vibrant costumes and an awful lot of samba. Expect to be dancing in the streets until the early hours of the morning. Far and beyond Rio de Janiero we have a number of incredible tours taking you to the depths of the Amazon rainforest and discover wildlife that cannot be seen anywhere else in the world. Discover Curitiba the greenest city in the world or join the Serra Verde Express train for a cinematic journey through the largest preserved area of Brazil’s Atlantic rainforest. Cruise along the Amazon River and marvel at the wildlife that lives there. February in New Zealand is one of the warmest months to escape from the British winter. Expect some beautiful scenery spread across a number of stunning islands combined with friendly locals and an awful lot of wine. February also brings the Malborough Wine and Food Festival which takes place on Brancott Estate. This region is famous for its locally sourced wines and food coming from some of the best vineyards New Zealand has to offer. The Malbourgh Sounds is a beautiful place in the world with spectacular coves, islands, crystal clear waters and beautiful lush forests. Discover the vibrant Wellington on one of the many hikes and adventures on offer here in the capital city. Visit the set of Lord of the Rings in the most beautiful of settings many compare to absolute paradise. Head up to the North Island which boasts beautiful beaches snow capped volcanos and a selection of small islands to hop around. 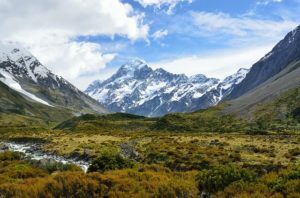 South Island however is famous for incredible mountains ranges, glaciers and much more hiking trails. February see’s the tail end of summer in South Africa meaning you can experience this amazing country in perfect weather during this month. Now as a country South Africa has pretty much everything, beautiful beaches, incredible mountain ranges and don’t forget the wildlife. 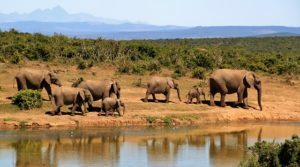 Go on a safari and spot the big five in their natural habitat in one of the many national parks in this country – the most popular being Kruger. Of course this beautiful part of the world isn’t only about the Kruger National Park, the animals or the plains. It’s also about the wine! The Stellenbosch and Franschhoek regions are the wine growing areas and you’ll enjoy seeing the grapes growing as well as sampling the resulting tipples. Let’s take a look at all there is to expect as part of our South Africa escorted tours. Other huge highlights of South Africa include the iconic Table Mountain just outside Cape Town, the penguin colony on Boulders Beach and the gloriously rugged coastline which culminates in the infamous Cape of Good Hope. The sun is always shining in South Africa and you’ll find plenty to entertain you, but what better way to explore such a huge country, than as part of an all-inclusive luxury, escorted tour! Chile in February is at it’s best thanks to the warm and dry climate that goes along with it. This incredible country is known to be one of the most scenic and picturesque on the planet. 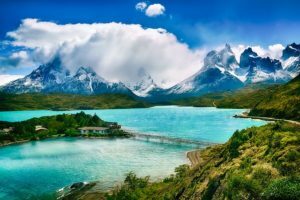 With Torres del Paine National Park along with the Patagonia region providing some of the very best mountain ranges in South America you’ll be spoilt for choice when it comes down to adventure. Explore the capital Santiago sat in the middle of the Andes providing incredible views of the city. Discover ever growing food and wine scene which is becoming more and more famous around the world. Head to Easter Island in which holds its annual Tapati Rapa Nui festival in which the locals celebrate through music, dance and some very interesting traditional sports during the month of February.